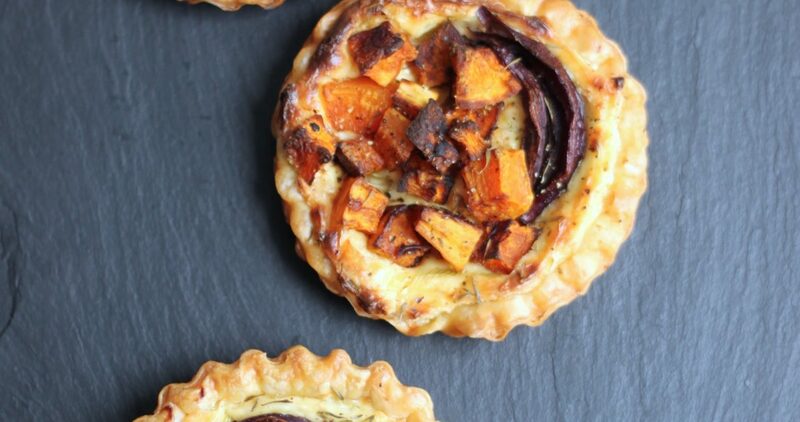 I’m definitely, 100% missing Autumn, Thanksgiving preparation and pumpkin everything since moving to New Zealand so I just had to make these Roasted Pumpkin Tartlets. You see it’s Spring here and I’ve skipped Autumn altogether, which is my most favorite time of year – cooler weather (sometimes not so much in Los Angeles), scarves, Pumpkin Spice Lattes and decorating for what is the first celebration of the holiday season – Thanksgiving! By this time, my sister Natasha and I would have already had our shared Google spreadsheet filled out with our Thanksgiving guest list, what signature cocktails we would be serving, our menu, decor and floral design plans and our mile long shopping list – not to mention a day by day countdown with full plan for what has to be done in the lead-up to the big day. The only saving grace is that we eat a lot of pumpkin here, so to get in the spirit I came up with this easy and delicious roasted pumpkin tartlet. 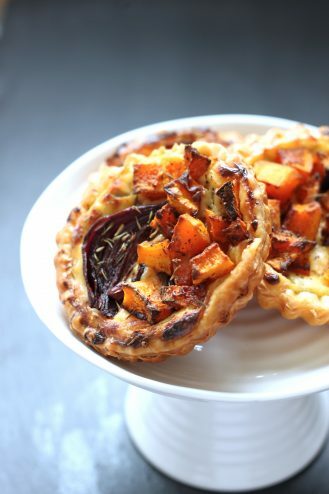 Perfect as an appetizer or as a first course for your holiday gatherings. 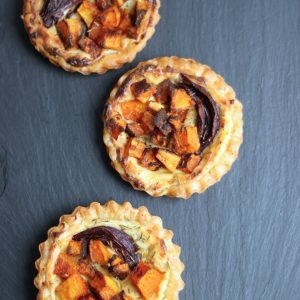 I’m definitely, 100% missing Autumn, Thanksgiving preparation and pumpkin everything since moving to New Zealand so I just had to make these Roasted Pumpkin Tartlets. 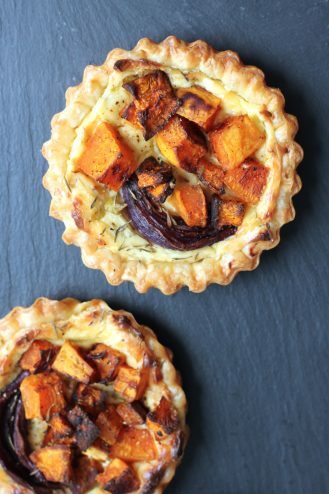 Perfect as an appetizer or as a first course for your holiday gatherings. 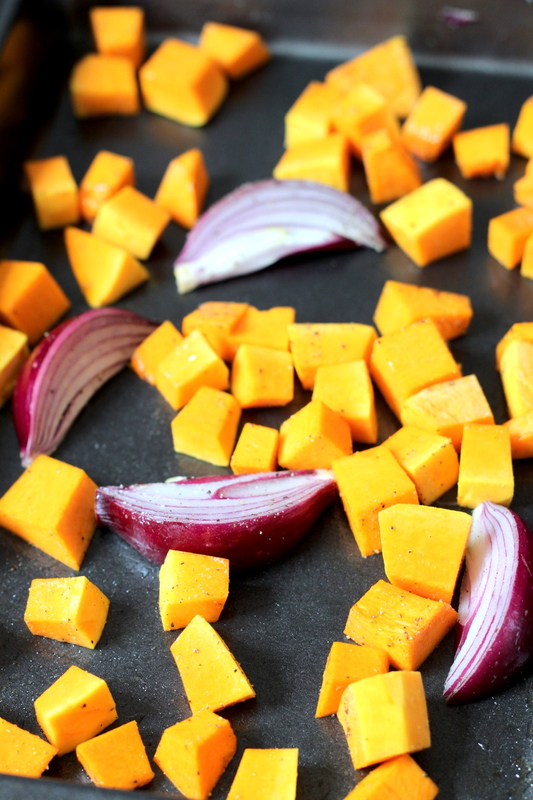 In a medium bowl, toss cubed pumpkin and onion with the olive oil, 1 teaspoon of thyme, salt and pepper. 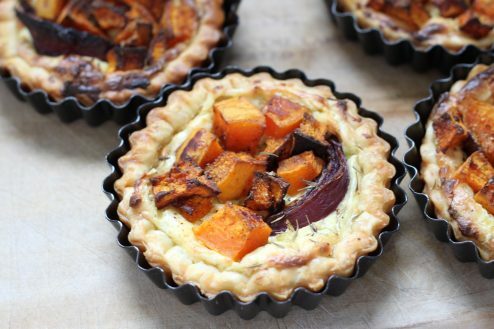 Spread evenly on a baking tray and roast for 15 minutes or until pumpkin has just begun to soften when pierced with a knife. Remove from the oven and let cool on a rack. 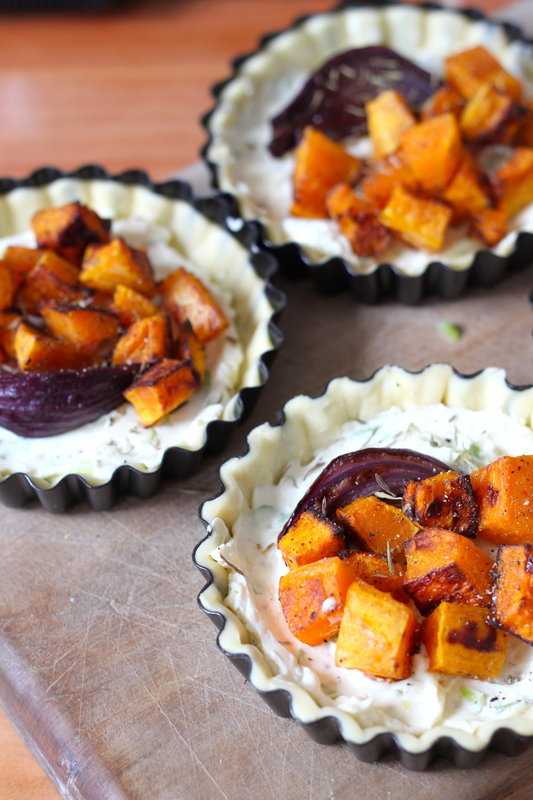 Meanwhile, place mini tart pans on a baking tray. 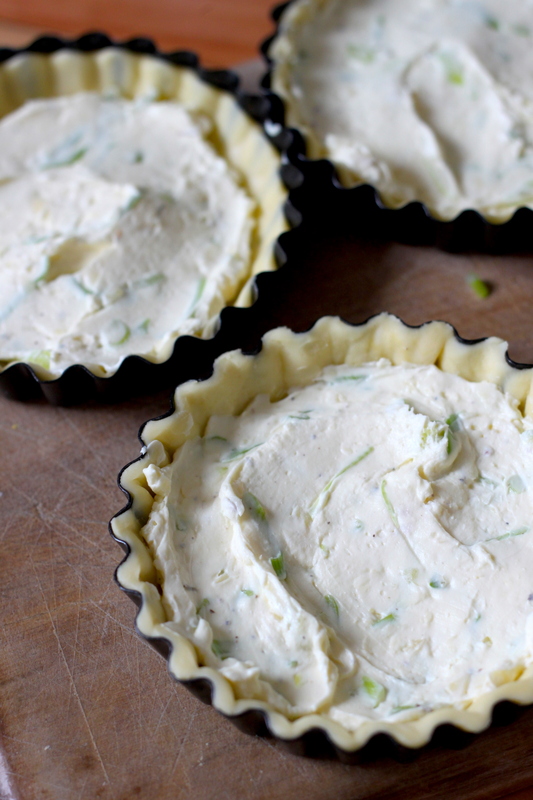 Cut out pastry rounds slightly larger in diameter than each mini tart pan. Press pastry into pans, cutting off any overhang. Chill in refrigerator. In a medium bowl, mix the cheeses, sour cream, garlic, green onion, remaining thyme, salt and pepper until well combined. Remove tart pans from the refrigerator and spoon the cheese and herb mixture into each pastry shell being sure to spread it out evenly. Then place the roasted onion and pumpkin on top of the cheese and herb mixture and bake in the oven at 375 for 15 to 20 minutes or until the pastry is golden brown and the pumpkin has cooked fully. Remove and let cool on the tray for 5 to 10 minutes before serving.